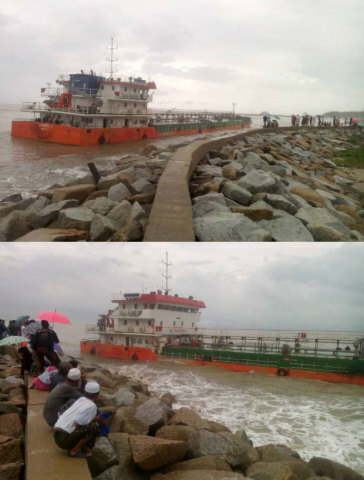 The 88 meter long tanker Sri Kandi 515 went ashore in the Gulf of Thailand at Narathiwat, Thailand. The tanker had been moored offshore when strong winds caused her anchor line to drag. No reports of injuries. Reports state there are no signs off pollution as the tanker holds remain intact with its 2500 ton cargo of palm oil. 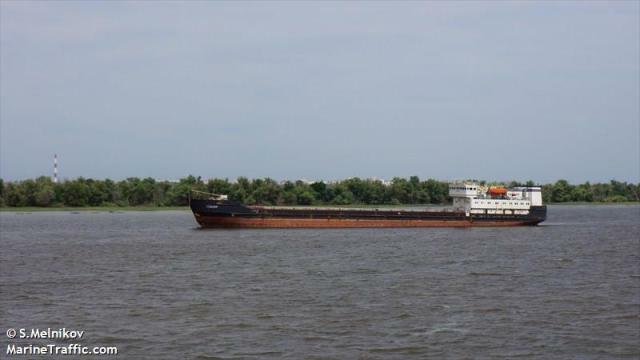 The Sri Kandi 515 had been hijacked on October 9 in Kalimantan waters by pirates. The 116 meter long, 3340 dwt general cargo ship Senator ran aground on the Volga River at Olya, Russia. The Senator was moving between berths when it veered out of the fairway and ran aground. The following day a tug assisted in refloating the vessel. No reports of injuries, damage or pollution released.